Home Advice UK News – How will the UK base rate affect me? UK News – How will the UK base rate affect me? The financial world faced a fresh wave of speculation earlier this year. 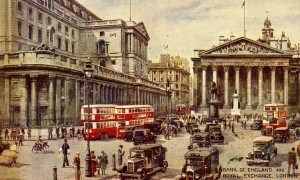 The governor of the Bank of England, Mark Carney, indicated that they expect the UK base rate to rise in the near future. Perhaps even next year. This potential increase could cause considerable concern among mortgage holders. In addition to those with other forms of UK base rate dependent borrowing. Regardless, it could hold significant benefits for expat savers who invest their capital in offshore accounts. Even before a date has been set for the base rate rise, some offshore operations are now offering markedly improved products for savers. Nationwide International, for example, is currently offering a higher rate on its one-year fixed term bond; up 0.2% to 1.65% from last year’s rate of 1.45%. Compared with the interest savers could earn a decade or so ago, these figures are still unattractively low. However, they do mark a positive upturn for savers who struggled to retain their investment’s value over last few years. The uncertainty around the base rate’s future level and how different savings providers will respond means that many financial advisors are advocating short-term, flexible savings products as the ideal vehicle for cash. Using a one- or two-year fixed rate product may not currently yield the best interest rate. Nevertheless, does mean that when a base rate rise is realized, savers can easily move their monies into more profitable long-term options. Opting for a five- or ten-year fixed rate, or a highly regulated account which penalizes rapid access, could trap funds in a sub-optimal account. Especially, when there are better choices available on the market. These are exciting times for offshore savers. When the correct choices could result in savings finally beginning to yield a healthy return on investment. Regardless better than the unrewarding sums seen in the past few years. If you’re considering moving your savings, high caliber expat financial advice will give you the information you need to make the best decision for your individual circumstances. Alternatively, seek the advice of a specialist financial adviser that knows the UK system well. Harrison Brook can assist in all your financial matters ( Offshore Account, Mortgage Advice, Tax Advice, Pension Transfer and more) Speak to a Harrison Brook adviser today.